EuroLingua is a language school in the centre of Calpe, specialising in Spanish lessons & Spanish courses for foreigners and English courses for all nationalities. 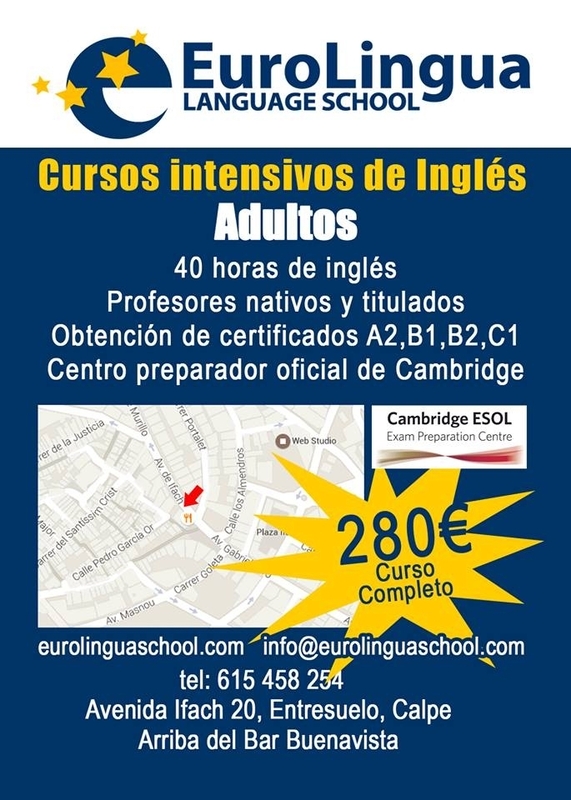 They offer the opportunity to Learn Spanish at your current level. The most popular courses include INTENSIVE SPANISH COURSES (3 hours a day), and STANDARD SPANISH COURSES (two hours a day, twice a week). 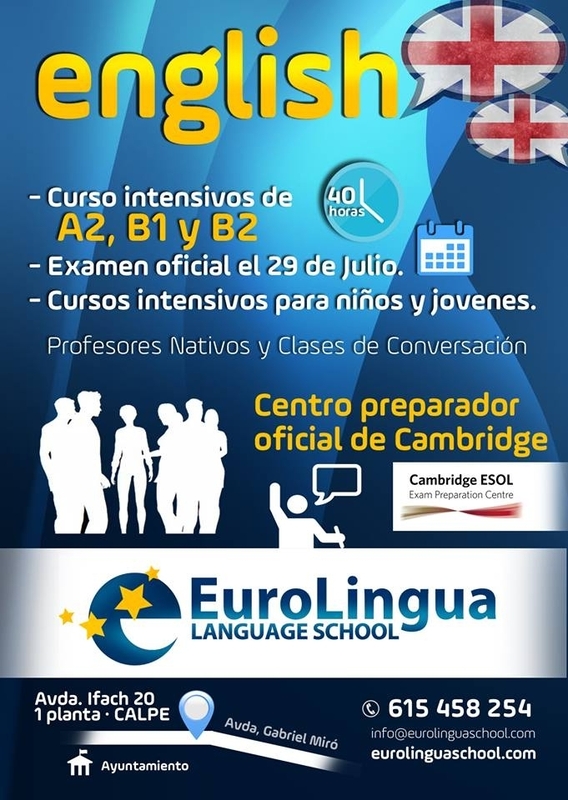 English lessons are also available with the opportunity to obtain an internationally recognised certificate from the University of Cambridge. 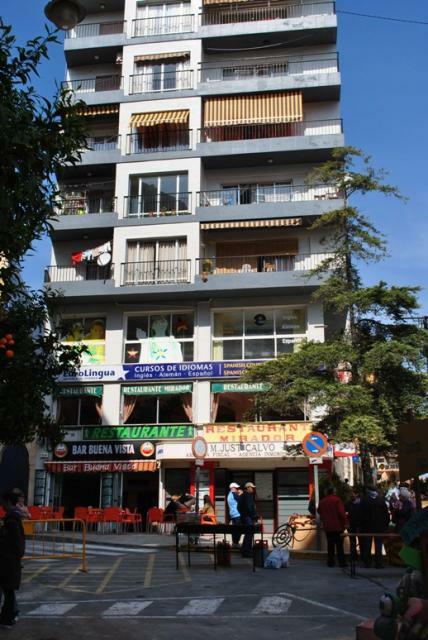 The school can be found near the top of Avda Gabriel Miro, in Edf. Portal on the mezzanine level. Ana Sánchez is in charge of running the English Language department at Eurolingua. She has been teaching for over 20 years, holds a degree in English and has an English Master in Education. Currently working at Laude Lady Elizabeth International school in Lliber, she teaches English in the afternoons at Eurolingua. Lola Roselló currently shares her job at Eurolingua with teaching Spanish at Laude Lady Elizabeth International School, Lliber. She holds a degree in Spanish and also has a Master in Education. 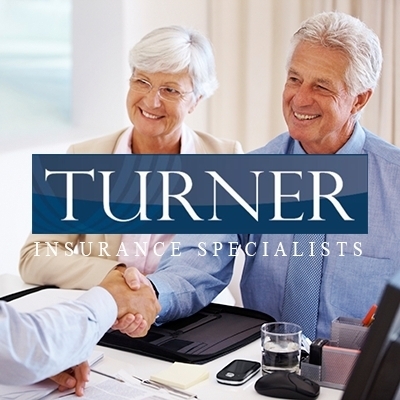 - We are friendly, professional and we love what we do. 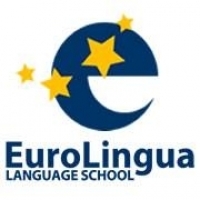 At Eurolingua, we believe languages are there for communication and that is why we chose a communicative approach on teaching. We practice more conversation, listening and speaking in our courses. We want you to speak! Of course we also cover the four language skills. In all our courses students are encouraged to develop the fours language skills, but we pay more attention to oral abilities. - A solid academic framework. Our courses are framed by the Common European Framework of Reference for Languages. 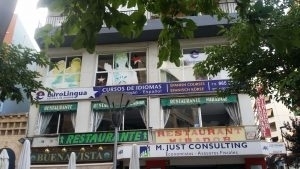 Eurolingua Language school offers a wide range of Spanish courses. One of the most popular Spanish courses are not doubt our two week/ 4 week Intensive Spanish courses. This option is chosen by people who want to learn or improve their Spanish in a short amount of time. Another favourite and a highly recommended option for those with more time are the Standard Spanish courses. Many residents or people who spend more time in Spain choose this option as it allows your acquisition of the Spanish language to sink in and you can easily fit this course in your day to day life. Come and learn Spanish starting with simple conversations and moving forward to more complex topics, learn easily having fun in a friendly atmosphere. We believe you can learn the language very fast if you start speaking from the first day. Conversation is very important to start building your Spanish. SPANISH PRIVATE COURSE - Private lessons 1h/30€, 1h-people/20€ pp, ten hour voucher /270€. 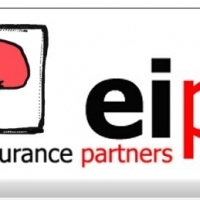 This course allows you to improve your Spanish in the shortest time possible. The program’s one-on-one approach enables students to learn the language quickly and efficiently with lessons completely tailored to the student’s needs. Our Spanish and Salsa course is a 2-week long program which gives participants the possibility to learn Spanish and Salsa. 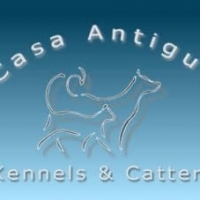 Our offer includes Salsa classes in an Intensive Spanish course or Standard Spanish Course. 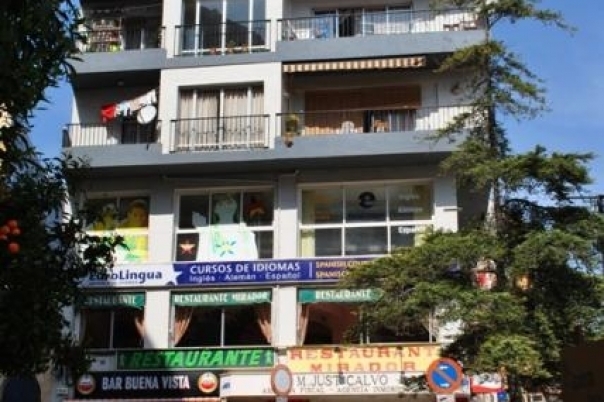 You will have your Spanish classes in the mornings and Tango tutoring 3 times a week in the evenings. Depending on your preferences you can take either personal or group Salsa classes. Calpe and its surroundings offer Salsa shows and real-life opportunities to see how professionals or locals dance. You can also dance salsa yourself at popular disco and salsa clubs. To learn the basics of Salsa or to further develop your current skills, there is no better experience than living and studying the dance, while practicing Spanish with us. In case you prefer fewer hours of Salsa teaching, we suggest you take our and intensive Spanish course and add the amount of salsa hours you want, We can also arrange for you to have classes with a private tango teacher if you prefer. Consult us for more details! SPANISH IN 3 HOURS - JUST ONE DAY! 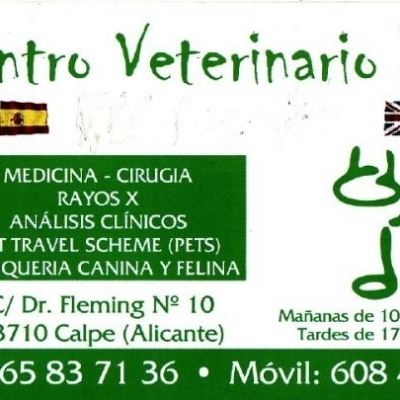 This is a bilingual Spanish-English course in which you will learn the key words and expressions necessary to participate in a basic way at a restaurant, a shopping mall, a visit to the doctor, at the airport, at the bus station, in the street. You will be provided with a list of useful words which you will be able to apply in a real context in ONLY THREE HOURS! This course has been designed for those travelers who need to deal with basic communicative situations when moving around Spain and who generally stay here for a short period of time. This course prepares students for the DELE test, the internationally recognized determinant of fluency in Spanish as a second language. This private tuition involves all levels and aspect of the DELE, tailored to the needs of the student. Sample tests distributed throughout the study period enable students to gauge their weak areas and to advance quickly. DELE, Diploma de Español como Lengua Extranjera is the official certificate of Spanish for non-native speakers, is recognized by the Ministerio de Educación and Cultura from Spain, and is administered by the Instituto Cervantes. This diploma is required and accepted in many non-Spanish speaking countries. It is commonly necessary to have an accreditation of your language skills in order to work and study in any Spanish speaking country. This special preparation course has been created in order to get maximum results out of every section of the DELE exams. 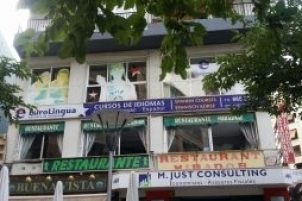 Eurolingua Language school offers a a range of English courses. The objective of these courses is to learn English across all skills: reading, writing, listening and speaking. 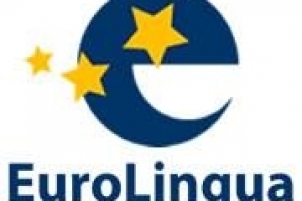 At Eurolingua special attention is paid to the oral part of the language since as this is the area that the student has less opportunity to practice out of the Academy. Classes are taught by trained teachers and will be held entirely in English so students can get to hear and understand language, and have to express themselves in English with the teacher and classmates. At the end of the course the students will take a test to certify the level of English according to the European common framework of languages. 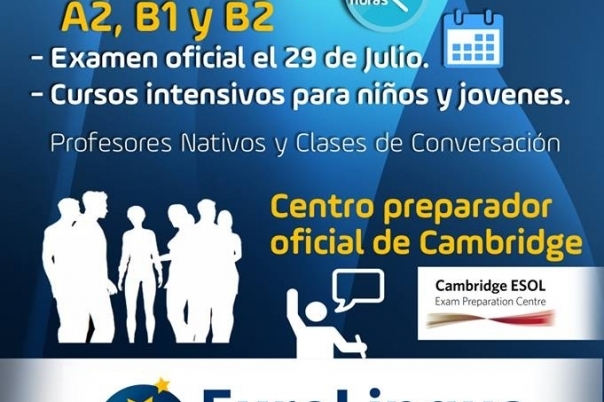 Eurolingua students will be able to obtain a certificate from the University of Oxford. For certification from the University of Cambridge, students have to sit an external examination. 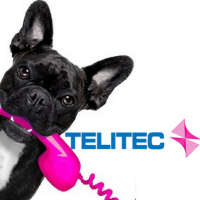 This certification have is recognised internationally. The available levels are: Young Learners (for children), PET, KET, First Certificate and Advanced.